Of Two Minds - Could Inflation Break the Back of the Status Quo? Political resistance to the oligarchy's financialization skimming operations will eventually cripple central bank giveaways to the financial sector and corporate oligarchs. That inflation and interest rates will remain near-zero for a generation is accepted as "obvious" by virtually the entire mainstream media. The reasons for this are equally "obvious": central banks have the power to suppress interest rates indefinitely by creating money out of thin air and using this new cash to buy bonds in unlimited quantities; and the commoditization/ globalization of labor, capital and production has generated a global backdrop of over-capacity and near-zero pricing power. But suppose for a moment that this confidence in near-zero interest rates and inflation as far as the eye can see is wrong. As I have demonstrated this week, rising interest rates and inflation would break the back of the status quo. What makes inflation difficult to grasp is its multi-faceted character. Inflation is a monetary dynamic, to be sure, as creating new fiat currency in excess of increasing production / productivity reduces the purchasing power of the currency. But as I have shown this week, inflation is also one result of cartel capitalism, in which politically powerful cartels can raise prices and reduce quantity and quality without fear of consumers going elsewhere because the cartels have effectively eliminated competition via regulatory capture, lobbying and the immense advantages of unlimited credit from central banks. Inflation is also tied to the incentives for fraud in our system: lowering quality as a means of Inflation Hidden in Plain Sight increases profits at the expense of consumers who have few means to detect and measure the reduction in the value of what their money buys. Inflation is also the result of revenue-hungry governments which jack up junk fees, stealth taxes and outright taxes while delivering lower quality services. 1. Urbanization increases the cost of labor (a reality since the 1400s). 2. Externalized costs (dumping private waste into the Commons, environmental damage and depletion, etc.) eventually must be paid one way or another. 3. Rising taxes as governments responds to unlimited demands by citizens for more services (education, healthcare, etc.) and economic security (pensions, welfare). 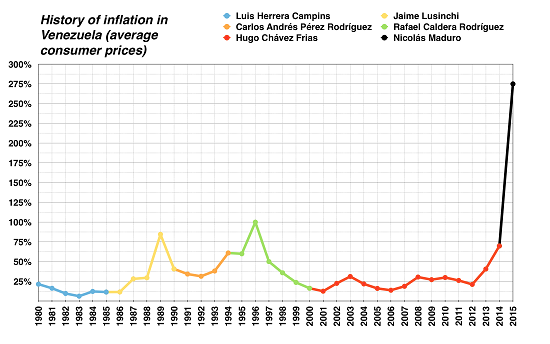 Financialization also feeds inflation in a variety of subtle ways. The wealthy can keep abreast of real inflation via Asset Inflation while the bottom 95% struggle to pay higher prices for everything from burritos to healthcare. 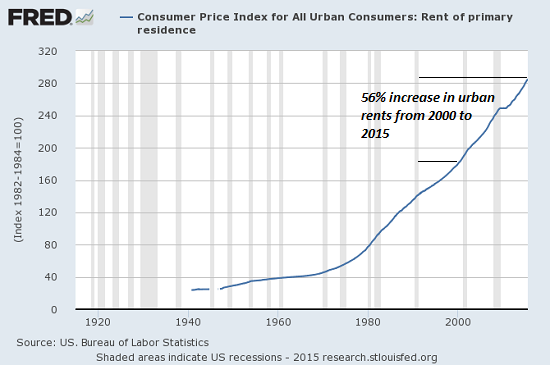 Financiers and corporations with unlimited credit lines at near-zero rates can buy up rental housing and jack up rents, for example, while asset inflation has pushed housing out of reach of moderate-income households living in job-rich desirable areas. Another widely held truism holds that inflation cannot rise until wage inflation takes hold. Given the pressure of automation on human labor (and the rising costs of laboir-related overhead such as healthcare), the belief that labor costs will remain subdued makes sense. But it isn't quite that simple. Ironically, as automation replaces lower-value labor, the work that cannot be automated becomes more valuable. Difficult-to-automate labor generally requires a high level of education and experience, and often requires working knowledge of multiple fields. This is as true of skilled tradespeople as it is of high-level managers. The net result of these trends is eventual wage inflation as employers who need these high-level skills will have to bid for the relatively few workers with the requisite skills. Though it may appear counter-intuitive, these dynamics inevitably generate an economy in which low-skill labor is in over-supply and millions are unemployed because low-skill work is scarce and those able to perform the work are abundant, while those able to perform high-skill labor are scarce. In this scenario, wages for the top 20% of the workforce rise due to supply-demand imbalances while wages for the lower-skill 80% rise due to political pressures such as we're seeing now with demands for higher minimum wages. The imminent retirement of millions of experienced Baby Boomer workers will only exacerbate these wage inflation pressures. Tens of millions of workers have removed themselves from the workforce or have been removed by restrictive disabled-benefits statutes. Millions more get by on welfare or welfare benefits supplemented with cash income earned in the burgeoning black market economy. Last but certainly not least, political resistance to the oligarchy's financialization skimming operations will eventually cripple central bank giveaways to the financial sector and corporate oligarchs. There is no other honest word to describe central bank policies other than giveaway, as free money for financiers has greatly expanded wealth and income inequality and handed financiers and corporations essentially unlimited funds to expand cartels and buy political power. The mainstream financial media is blind to the reality that finance is always political. The privileged few with access to unlimited central bank giveaways can profit in ways that are not available to the bottom 99.9%. 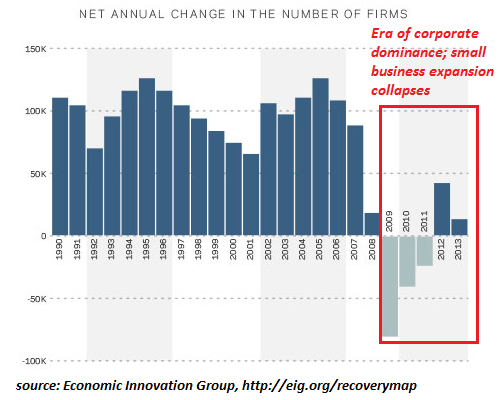 Once the political winds of resistance to the oligarchy rise, central banks and the state agencies that enable the dominance of the financial oligarchy will face limits that did not exist in the years of bogus "recovery" (2009-2016). Unprecedented expansion of credit, wage inflation and much-needed limits on the power of central banks to give away billions to oligarchs will generate inflation. The central planners have successfully masked real inflation behind a smokescreen of official statistics, but eventually a wind will rise that blows the smokescreen away, and the reality of rising inflation will break the back of the financial-political status quo. Thank you, Guy T. ($50), for your superbly generous contribution to this site-- I am greatly honored by your steadfast support and readership.